Kylie Minogue and Eugenia Silva love KORRES Wild Rose Moisturiser! 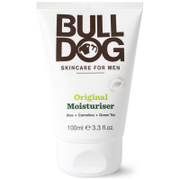 This extraordinary 24-hour moisturiser has a rich yet soft texture and a unique blossom aroma. 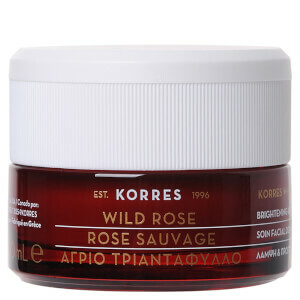 KORRES Wild Rose has a repairing action that will reduce your fine lines and skin colour disorders. The anti oxidisation properties of the rose are both anti ageing and extremely moisturising, ensuring 24-hour hydration.This is due to the water retaining capacity of the desert plant Imperator Cyclindrica. I have always been a fan of the brand Korres and their products for body care - very high content of natural ingredients, amazing scents, a real therapy for the body. This is the first time I have used a product from their skincare range and, of course, it lived up to my expectations. This moisturizer leaves my skin extremely hydrated, soft and glowing. It is really gentle and light and, although I feel the consistency is a bit tick, it absorbs really well and does not make my skin greasy. I think the smell is a bit strong but I personally don't mind it. Overall I think this is an amazing moisturizer and I would definitely buy it again. This is THE best cream I ever used! Smell gorgeous and my skin looks so much smoother now. I was suffering from really bad acne but now I only get occasionally! I will defiantly order again. I recently started using this cream after having an allergic reaction to the skincare products I was using. After some research I discovered rose was extremely good for very sensitive skin and to help with redness. Since using this over the last couple of weeks, my skin has returned to a much calmer state and feels really smooth. I can't recommend this cream enough! 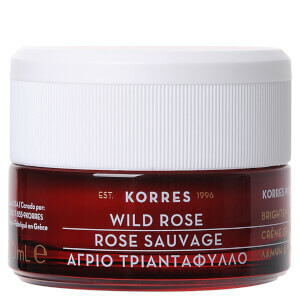 Korres products all excellent especially for older skin Wild Rose cream for face and eyes. Haviing lived in Crete for 10 years I used them when they were an unknown make and still use them today. I have use this product for a year, And just bought another full container of it. I do not just wear it at night, I wear it morning and night. I do use it in conjunction with the 24 hour brightening and the pine tightening cream I can't think of the name of it of the top of my head. I follow that up with the yogurt mask at night. I've got about five years maybe more taken off my skin due directly to This Korres regimen. Thank you Korres your products rock!!!! Recently, I have started using more natural/organic products. This Korres product is moisturizing and amazing. The texture isn't greasy and easily absorb into the skin. This is a lightweight moisturizer and truly perfect for daytime use. The smell is fresh and floral and the texture is very smooth. I have normal/slightly dry skin and visible pores. This moisturizer leaves my skin soft and ready for makeup. I live in the Northeast so the air is more often drier than very humid and this moisturizer performs well. Beautiful product. Non greasy, absorbs readily on my skin. I don't normally like rose scented products but this is beautiful. Before have been using this brand of shampoo and bath lotion, and white tea series. Like his organic nature inside. The focus is good, the rose series is also very look forward to. I really like how it smells, nature and sweet and mild.After applying it on my face, the cheek become moist and soft.